The Asian long-horned beetle has been successfully eradicated from Canada, the federal government says. The Asian long-horned beetle has been successfully eradicated from Canada, the federal government announced Friday. The invasive insect has not been seen in Canada since 2007, said a news release from the Canada Food Inspection Agency. Consequently, the government has lifted restrictions on the movement of trees and wood in affected parts of Ontario. The beetle, which is native to China, Japan and Korea, attacks and kills healthy deciduous trees such as maple, birch, elm, poplar and willow. Their larvae bore a network of tunnels through the trunk and limbs, while the adults eat the bark, leaves and shoots. Asian long-horned beetles were first detected in 2003 in Toronto and neighbouring Vaughan. The government established a "regulated area" to prevent the spread of the insect, taking down 30,000 trees and banning the movement of trees, logs, wood and bark chips from susceptible species throughout the area. The beetle has never been detected anywhere in Canada outside the regulated area. 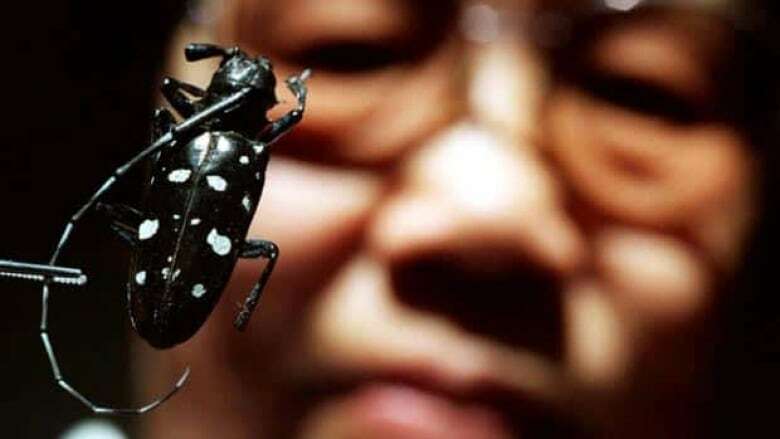 "Our government has been strongly committed to the eradication of invasive species like the Asian long-horned beetle," said Natural Resources Minister Joe Oliver in a statement accompanying the announcement. "We are pleased to see that our efforts have paid off."